I think this way of understanding science is utterly misleading and wrong. I think it is already wrong within my own discipline (fundamental physics), and I think that what poets do, and what literary critics do, and what musicians and moral philosophers do, is every bit as truthful and insightful about the nature of reality as is what physicists and chemists and biologists do (and mathematicians, engineers, historians, etc.). In short, a description at one level does not render a description at another level redundant, and the notion of “explanation” does not involve or invite ignorance of this. But there is, announced by breathless popularisers and now looming throughout our system of education, another idea: the claim or the hint that moral and aesthetic opinions are “really” just subtle reproductive strategies, or pre-scientific names for hormone changes, or value-free movements of a universal wave-function. To some readers, the fact that such claims are illogical and unfounded will be clear. But others will be puzzled about what is wrong with the hegemonic way of presenting science. This puzzlement reveals a deep failure in our public discourse and system of education. Here are two illustrations of what is wrong with this. First, consider the arched shape commonly used in buildings and bridges. This shape is strong under compressive forces. This property is owing to the overall form: a force from above tends to push the parts together, not apart. Suppose an arch is made of stones. Analysis of the individual stones will not yield an insightful explanation of the global property. Therefore the arch is not fully understood or explained that way. 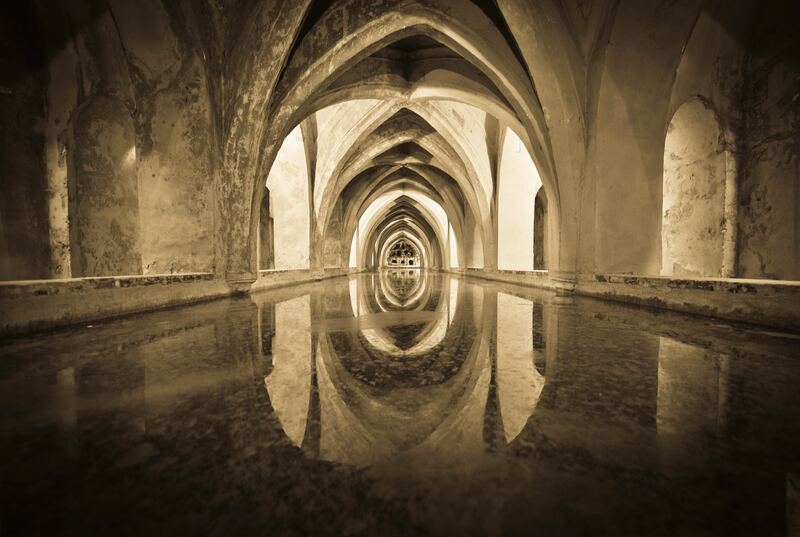 Even if all arches everywhere were made of stone, it would still be false to say that arches are explained by stones, because the property of interest—strength under compression—would still hold if the arch were made of something else. Image credit: ‘Los Baños’ by Stefano Zocca. Public Domain via Unsplash. In a similar way, brain chemistry is of only marginal relevance to an understanding of social dynamics among humans. The idea that ‘all the explanatory arrows point downwards’, as Steven Wienberg put it, is quite wrong. My second illustration is more technical: it is the role of symmetry principles in fundamental physics. What this reaction fails to grasp is that the symmetry principle already makes its contribution before we ever write or discover the formulas and equations, because it expresses conditions on what sorts of equations could make sense. And science is all about making sense, or finding the sense that can be made. Symmetry principles in fact play an important role, because they amount to meta-laws which express broad principles that laws of motion must respect if they are to make certain types of sense. Such principles have been central to making progress in fundamental physics for over a century. Symmetry both helps us to formulate physical models and provides deeper insight. These examples illustrate what is going on throughout scientific discourse in all areas: the use of multiple sets of terms and relations, suited to multiple types of question and phenomenon, in which no layer or level of discussion is even capable of expressing the concepts of another, let alone replacing another or making it redundant. Science is about building up an insightful picture in which the underlying microscopic dynamics do not replace, nor do they explain, the most significant larger principles, but rather they give examples of how those larger principles come to be physically embodied in particular cases. The lower level and higher level principles are in a reciprocal relationship of mutual consistency in which each illuminates the other. Featured image credit: ‘sky-clouds-construction-brick-layer-78113’ by 12019. CC0 1.0 via Pixabay. 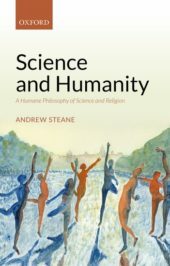 Andrew Steane is a professor of physics at Oxford University and the author of textbooks on relativity and on thermodynamics, and of several works in the area of science and religion. His main research is in theoretical and experimental aspects of fundamental physics, especially quantum computing. His most recent book is Science and Humanity (OUP, 2018).